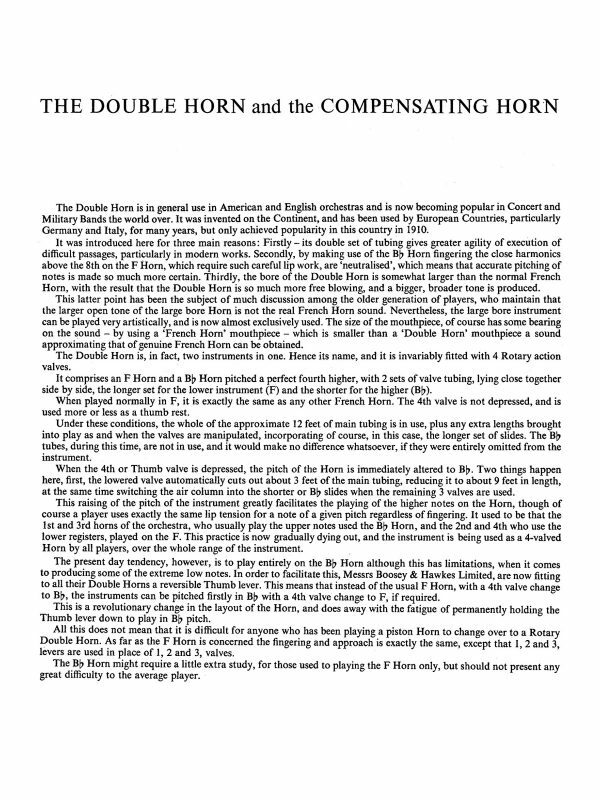 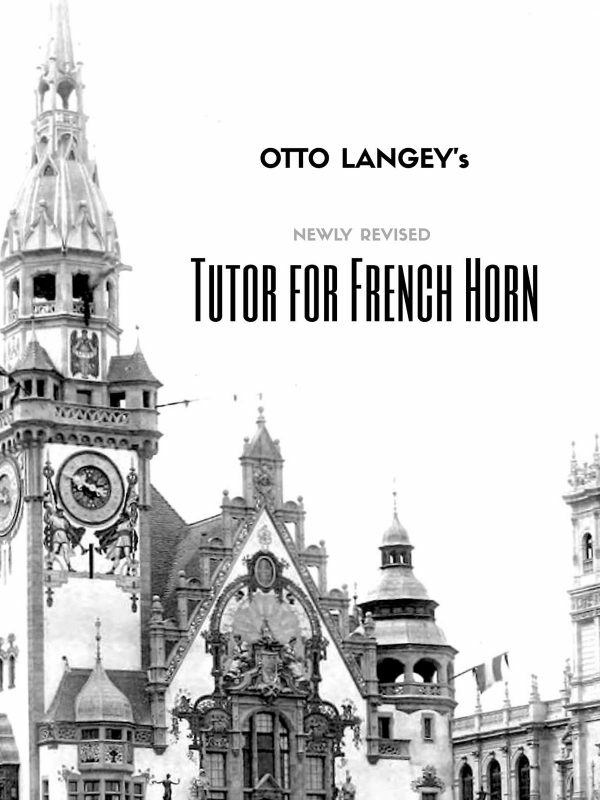 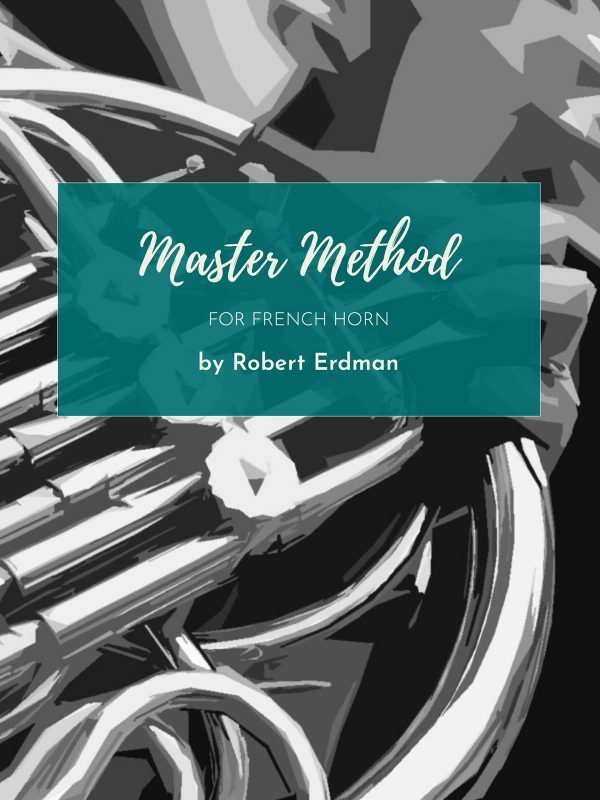 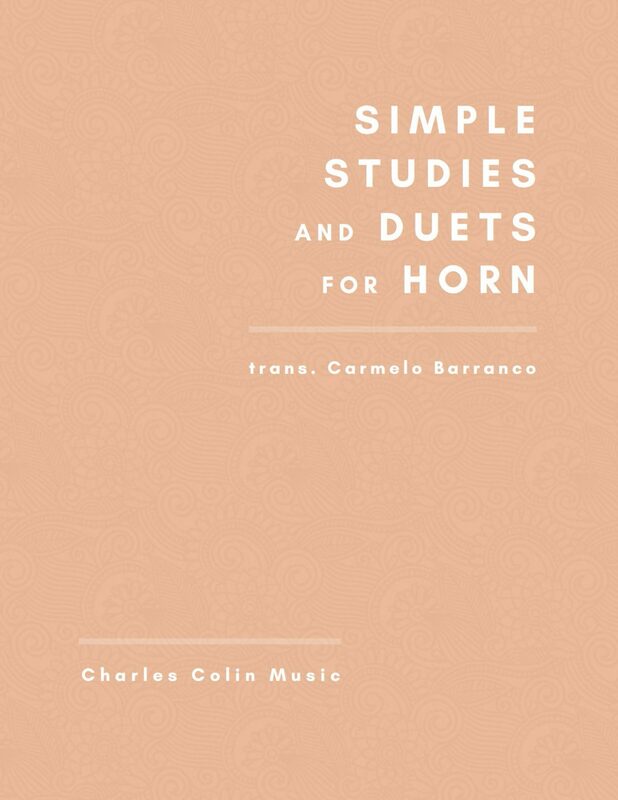 These “Simple Studies” for French Horn are a perfect companion to Mr. Barranco’s “Scale Studies”. 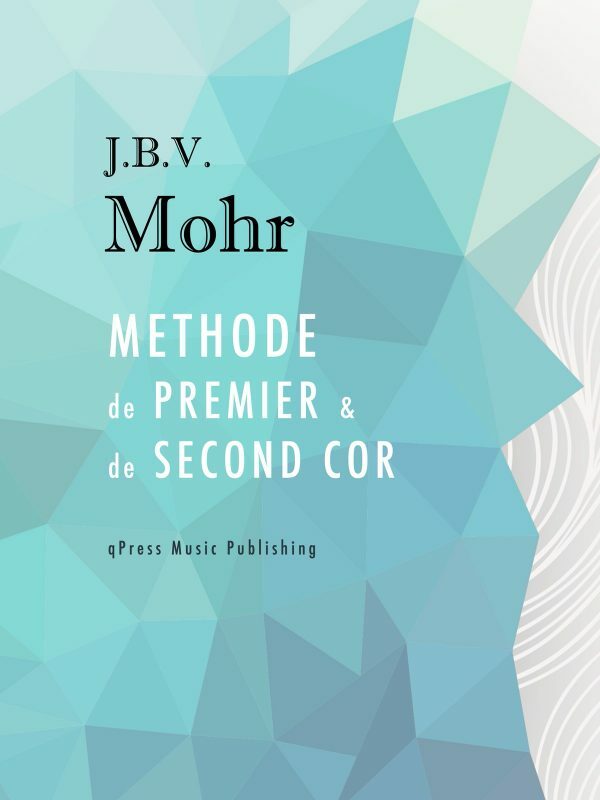 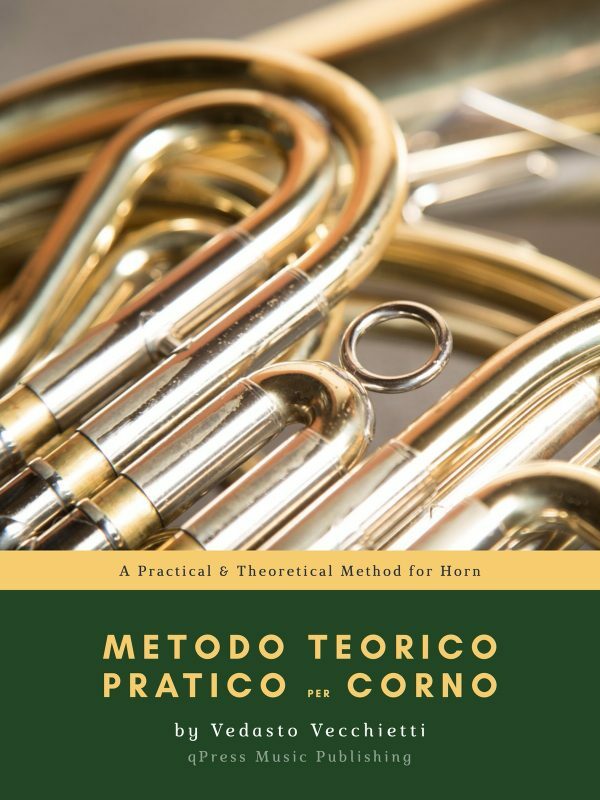 Equally valuable for a beginning student developing his or her embouchure or an advanced player getting back to basics or warming down after a vigorous day, these studies provide a solid foundation for developing and retaining an even sound through the instrument’s registers. 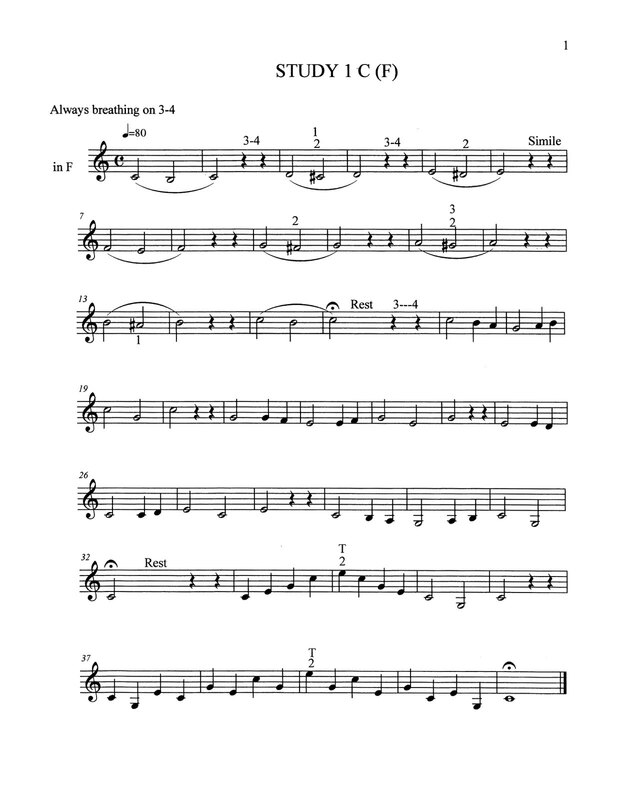 The studies build upon each other, slowly expanding range and adding interval studies, articulations, flexibility and melodic lines combining all of these. 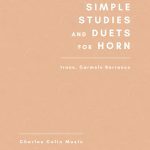 The collection concludes with several charming duets suitable for student and teacher during a lesson or just for fun when two musicians get together. 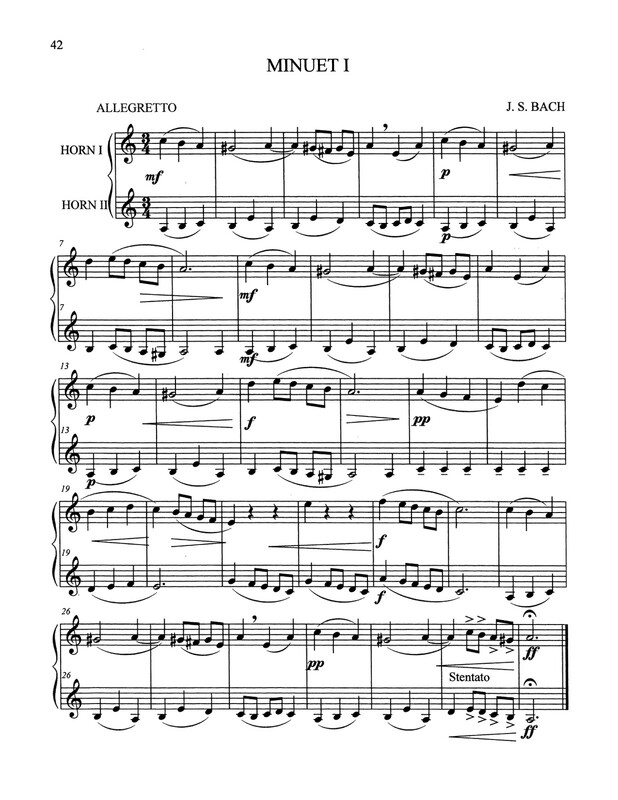 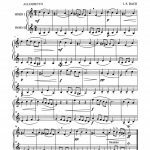 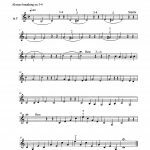 The inclusion of duets for Clarinet and Horn provides a wonderful opportunity to develop the shadings of color and tone required for later performances of woodwind chamber music. 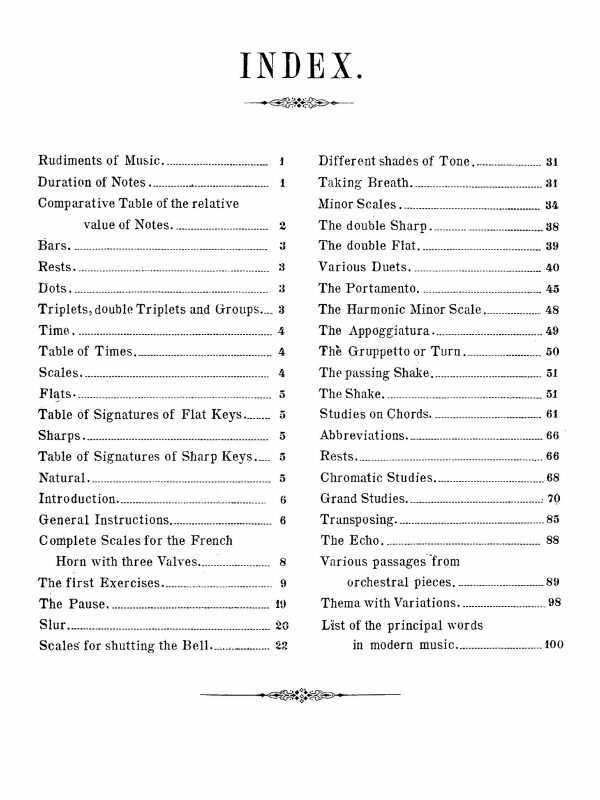 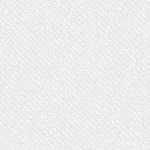 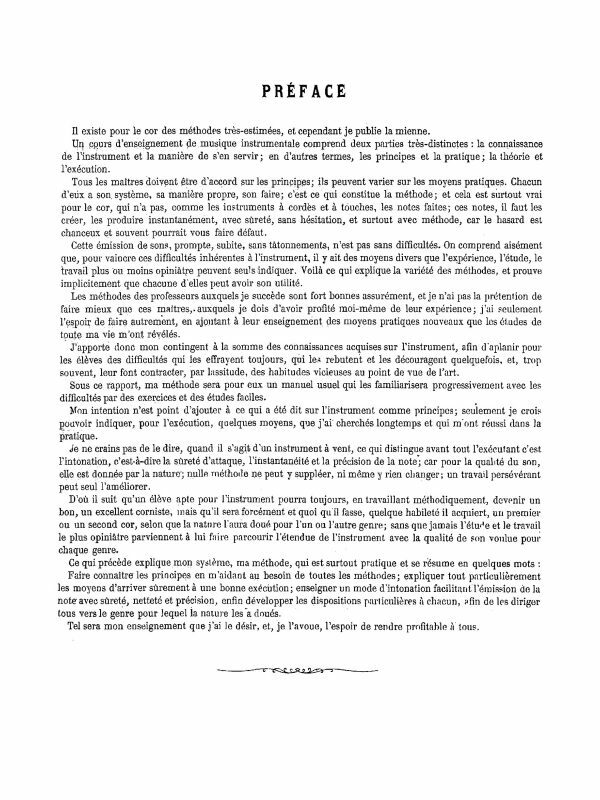 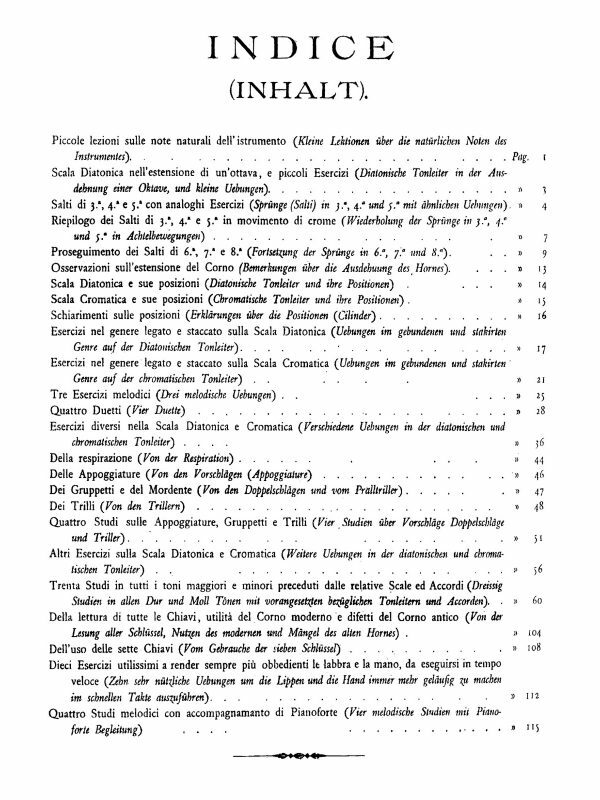 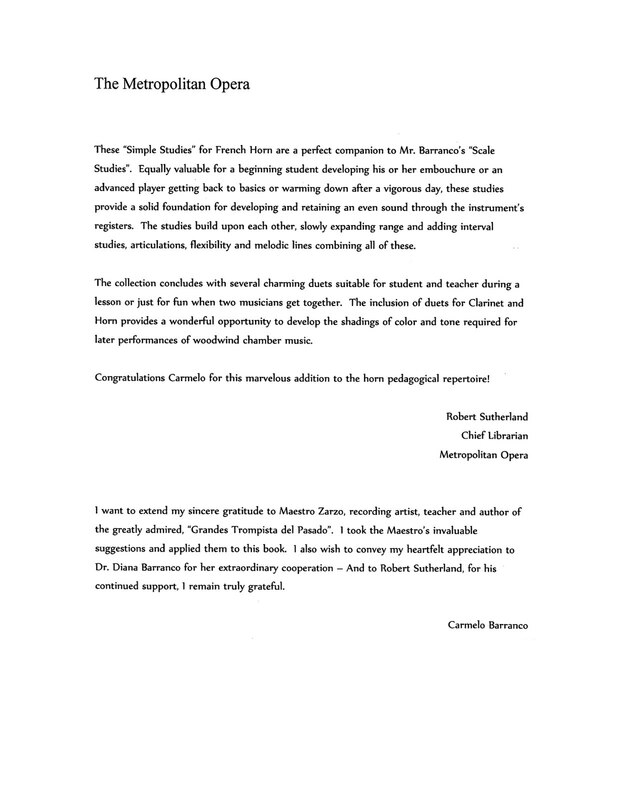 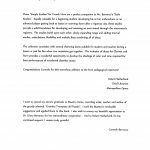 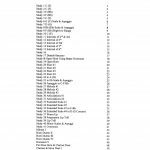 In the samples to the left we have provided the Introduction and Table of Contents, as well as the first Study and Duet. 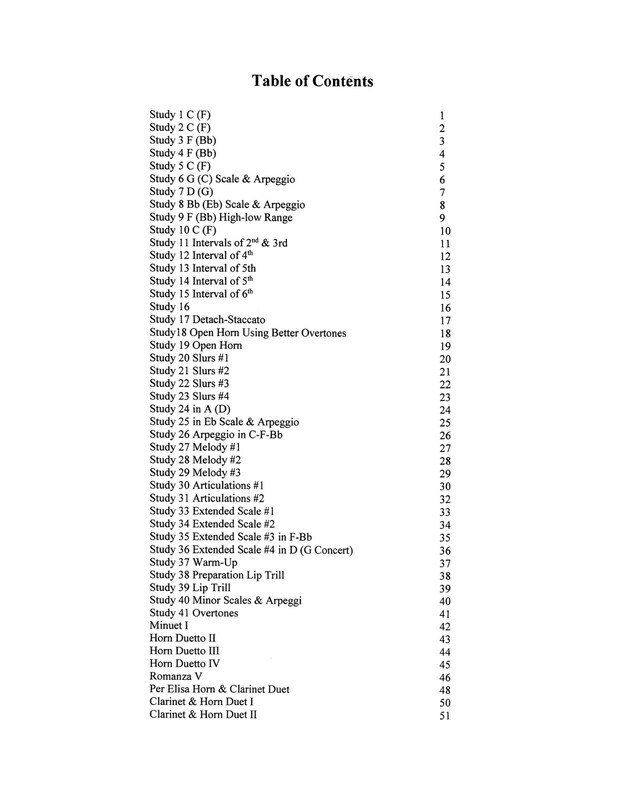 Take a look and if you like what you see, click above to get an immediate PDF download of the entire book.